開幕 Reception｜2018.07.28 (Sat.) 4:30 p.m.
“Serendipity” is Jason Chi's first solo exhibition since 2014. Being an artist, a curator, also with his architectural background, Chi's often switching among various professional roles, which enables him to create abstract work that is not restricted by their conventional form, but instead presented in poetic visualization, with a literary flow of emotion. Chi’s works often bears a very distinctive character; the use of abundant and varied colors brings organic emotional variables to the paintings, while the rigorous composition allows the viewer to retain a distance far enough from indulgence. In addition, Chi values the labor involved in his creative process, seeing painting as art associated with time, the accumulation of which during the painting process represents the piling up of emotions and thoughts, like the formation of sedimentary rocks. When gazing at his work, the viewer can almost observe the traces that time has left upon the canvas and see Chi’s composed mindset toward life, in the fully constructed world inside the frames. The title “Serendipity” is originated from a legend “The Three Princes of Serendip.” In ancient times there existed in the country of Serendippo a great king, who wished to cultivate the talents and virtues of three princes, and thus sent them away to travel around the world to complete the missions given. During the journey, they didn’t head for the set goal as they had planned, but gained rewards or helped people unexpectedly. Later on, they used "Serendipity" to memorize incidental good fortune and wisdom acquired during the journey. "Serendipity" represents the “chance occurrence” that is made possible under the combined conditions of fortuity, opportunity, and wisdom. Having nearly no literal translation in other languages, the word has to be defined or interpreted according to phenomenon occurred or multiple conditions involved, therefore deemed as one of the most difficult words to be translated in the English-speaking world. 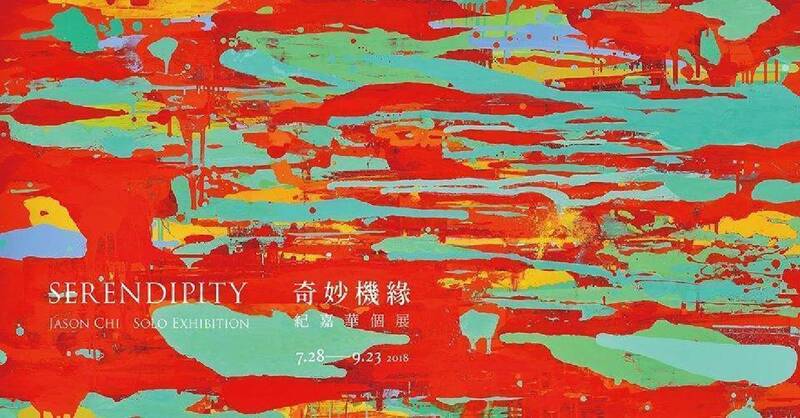 With the title "Serendipity," Chi sees the exhibition as a summary of his life experiences and creative process. He believes that what's present today is the accumulation of many little decisions and chances in life, just as the layering of paints on the canvas that accomplishes an artwork. Corresponding to various possible interpretations of "Serendipity," his work internalizes the episodes and coincidences encountered in life, with rigorous and rich colors that carry Chi’s narrative details like everyday poetry. Jason Chi, born in 1969, received his M.F.A. degree from the University of Pennsylvania in 1995. With a background both in art and architecture, he is endowed with a keen sense of perception and meticulous logical thinking, which allow him to create paintings with a precise and orderly structure under sensual brushstrokes.